Perfectly adapted for transportation of potentially infectious biological samples or other types of samples according to the UN3373 packaging instruction (ADR2013). 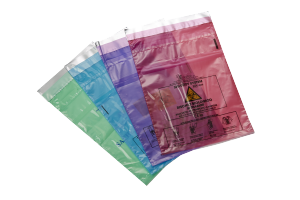 Thanks to the design of its adhesive closure, the Novalab bag meets the sealing requirements for secondary packaging according to packaging instruction P650§7b, which regulates road transportation of products classified as UN3373 (ADR 2013), and thus it guarantees the safety of personnel during transportation of potentially infectious samples. Novalab is compliant with ISO 15189. The Novalab bag has a unique adhesive closure, guaranteeing perfect sealing and safe transportation of samples. Opened by tearing, it does not require any sharp object to open, thus avoiding any risk of accident during handling. Very simple to use, the Novalab bag includes a double pouch used to insert the medical prescription or any other document.